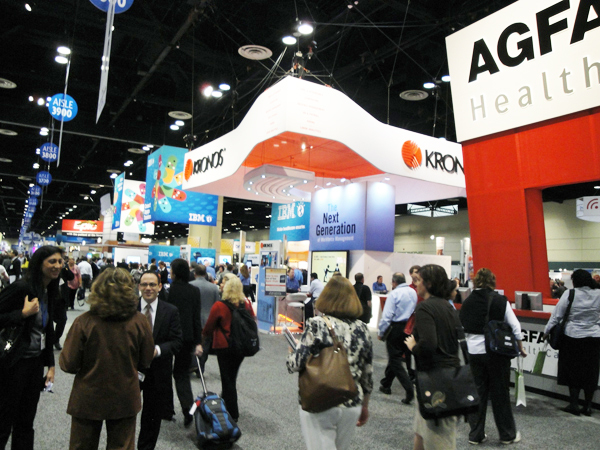 As C. Martin Harris, MD, noted yesterday, HIMSS11 drew a record number of attendees. 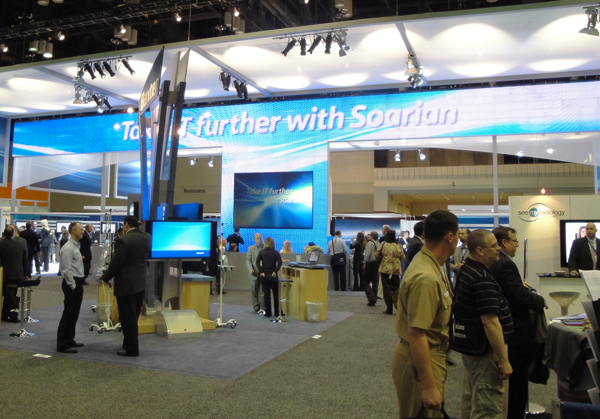 It's evident on the show floor, which feels crowded despite being enormous. Click the images in this slideshow to enlarge them. It's Mardi Gras at SSI's booth. The Mobile, Ala.-based claims management vendor is celebrating early, handing beads and moon pies to visitors. Back to the Future isn't the only 1980s movie series enjoying a revival at HIMSS11. 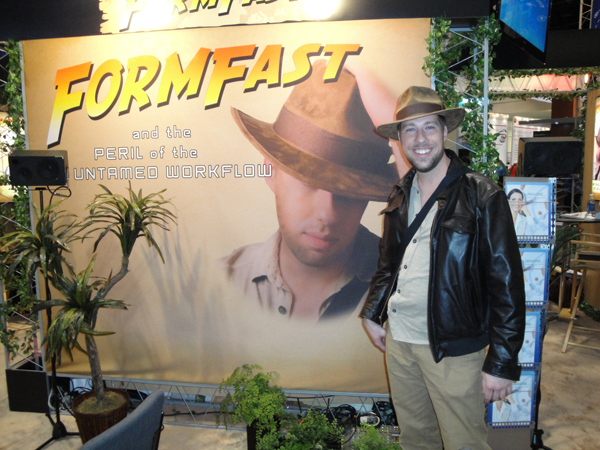 FormFast, a company specializing in workflow automation, has an Indiana Jones lookalike at their booth, which bears the title, "The Peril of the Untamed Workflow." 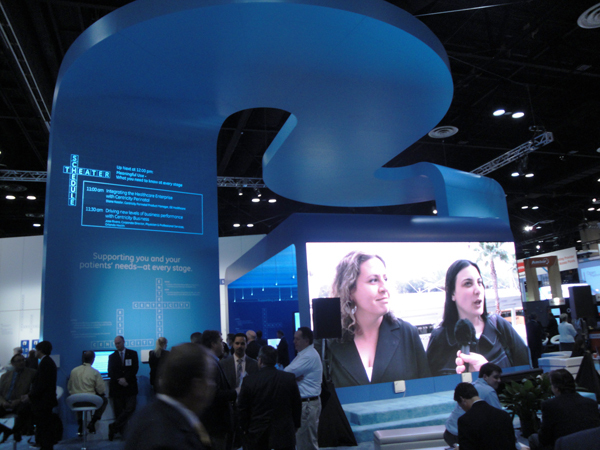 It may be located at the far end of Hall D, but you can't miss Siemens' booth, which features one of the biggest display screens we've seen outside of a football arena. This BMW racecar can be found at the Vitalz booth. It doesn't have a Flux Capacitor, but its doors are similarly unconventional to those of the Delorean at RelWare's booth. NextGen's booth features a pair of artists "live-painting" a likeness of a football running back. 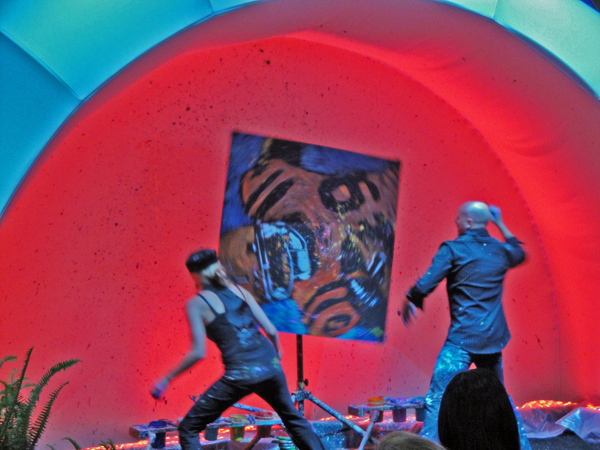 Here, they're shown adding some kinetic swirls as the painting spins clockwise. 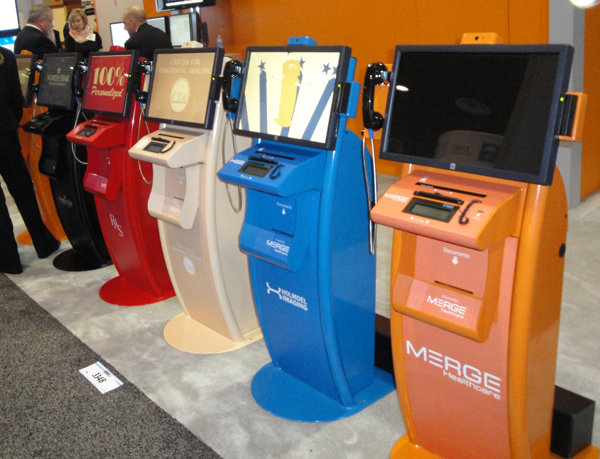 Acknowledging some healthcare organizations' desire to incorporate design into their IT plans, Merge Healthcare's patient kiosks are available in an array of colors. 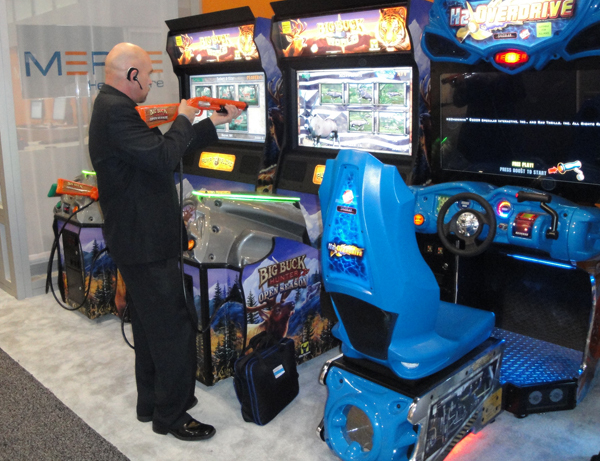 An attendee takes a break to hunt some pixelated wildlife at Merge's video game center. GE always has a huge booth. This year, it features a swirling ceiling and a large-screen theater. There's a Starbucks everywhere you look these days... unless you're at the Orange County Convention Center. 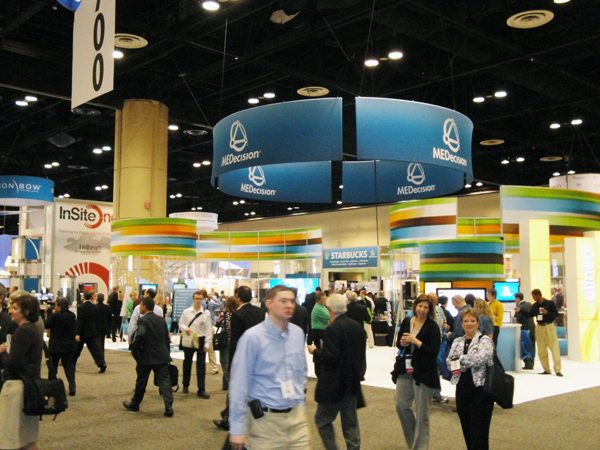 MEDecision capitalized on this by bringing their own fully-stocked Starbucks to their HIMSS11 booth. 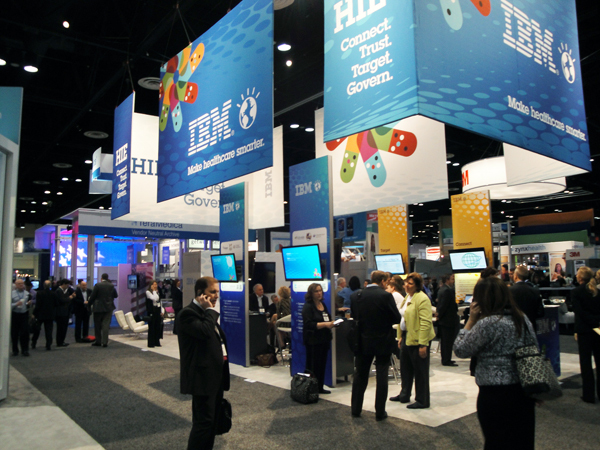 IBM's booth occupies two large areas separated by the attendee walkway in Hall B. Is 4D printing next for healthcare?